We want to move towards a better future. We want to envision how it can be, what we might become, what is the way ahead to our Humanity. But where is this coming from? Our human mind? Our personal ego? And how should we build the whole thing? What would be the characteristics of a real transpersonal vision, one coming from the Soul level? Would we be tapping into our own person at its best or something else? Would we be searching for ideal projections of our wishes or tapping into the minds of the Gods? How would we do that? This talk brings on some questions and some possible ways for finding the answers to them. The importance of ancestors is questioned and so is the way we might be doing more of the same we want to leave behind. 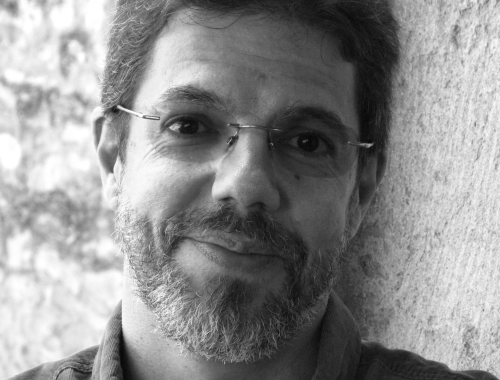 Vitor Rodrigues, Ph.D, owns a Dcotoral degree in Psychology and is a psychologist and Psychotherapist since 1985. He was the President of EUROTAS, 2005-2009, and of Alubrat (Portuguese-Brazilian Transpersonal Association), 2003-2009. He also coordinated the EUROTAS Committe for Certification and Accreditation, 2000-2013. He taught educational and developmental psychology at Portuguese universities for 17 years and is the author of 12 books published in Portugal including self-help manuals, sci-fi, social criticism. He is a psychotherapist resorting to regression therapy, hypnosis, meditation, dreamwork, psychic defence, and currently owrking on his own model, Awakening Transpersonal Psychotherapy.